As some may know I operate and maintain the equipment for our family operated Hay farm. Recently we acquired a Steffen 1550 Accumulator and Steffen 6515 Hay Grapple in order to help automate our hay farming process. First off we have been picking up hay for many years, but someone else would come to cut and bale the hay for us, and we would but stuck with picking it all up. A few years ago I purchased a tractor and we began to purchase equipment for several reasons. 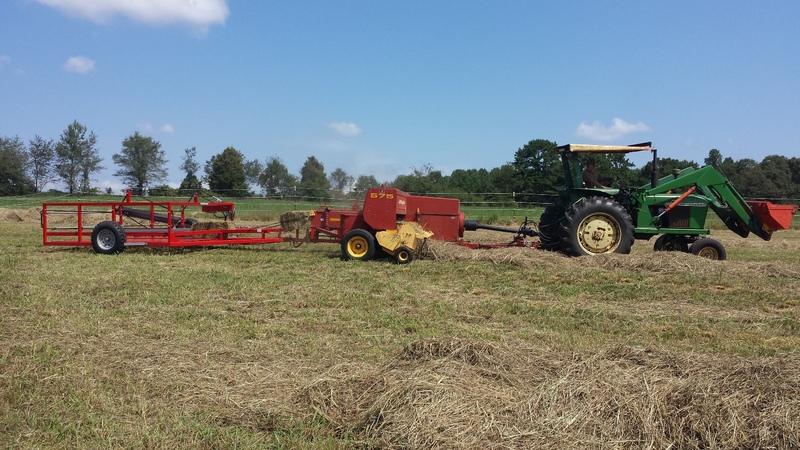 I run and maintain all of the equipment myself, but as family moved further away it began to become more labor intensive on the few in order to get the hay out of the field. First we bought a tractor, then a cutter, rake, tedder and finally a small square baler. It is a large learning curve to figuring out how to get everything just right and we are still learning. Enough was enough so we bought an accumulator used at auction, the one we purchased was one of those that you drag behind the baler and it drags the bales on the ground. I feel its needless to say but that didn’t work very well especially on unlevel ground, so we sold it and kept looking. I did a lot of research on different accumulators that are available including Kuhn, bale bandit, even numerous bale wagons. If you look at some of my other posts. I even acquired a bale wagon but it was pretty much a lost cause as parts were no longer available and it needed some serious work. 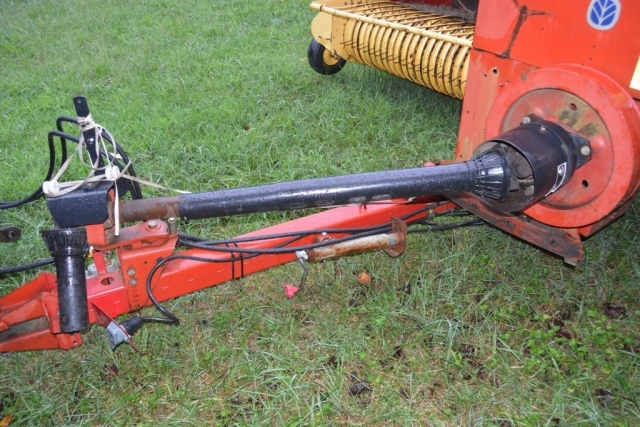 I had about decided on Steffen already when I came across a Steffen 6515 hay grapple at auction, so I bid on it and ended up winning the bid. That pretty much set in stone which accumulator we were going to get. After some more time we ended up getting the Steffen 1550 15 bale accumulator. There are several different sizes and options when it comes to the accumulators from Steffen but we opted for the 15 bale (18 side). We ordered the accumulator through our local dealer along with the hose kit and the tongue kit for our New Holland 575 Baler. Here we will go through a review after having the accumulator for a year. Logically we should start with the pricing. 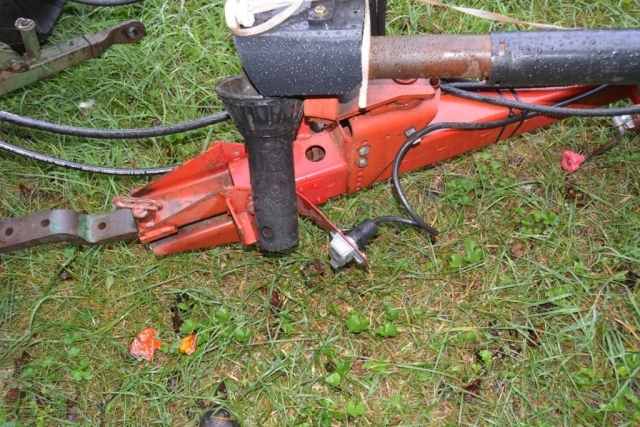 If you have any experience with farm equipment none of it is cheap. The 1550 MSRP is $16100.00. We ordered the hose kit which was $395. And the Hitch (tongue) Kit which was $1195. Now for the part that I really wasn’t expecting. We are on the East Coast and Steffen is in Oregon so we had to get it shipped in at $1800. We opted to setup the accumulator ourselves due to 2 reasons, the dealer did not have a lot of experience with the machines and to save some cost. So to purchase one of these you are looking at a whopping $19500 plus any applicable taxes. Figure on near $22,000 to get one of these completely set up as your dealer will have to come to the field. Not cheap by any means but was it worth it? 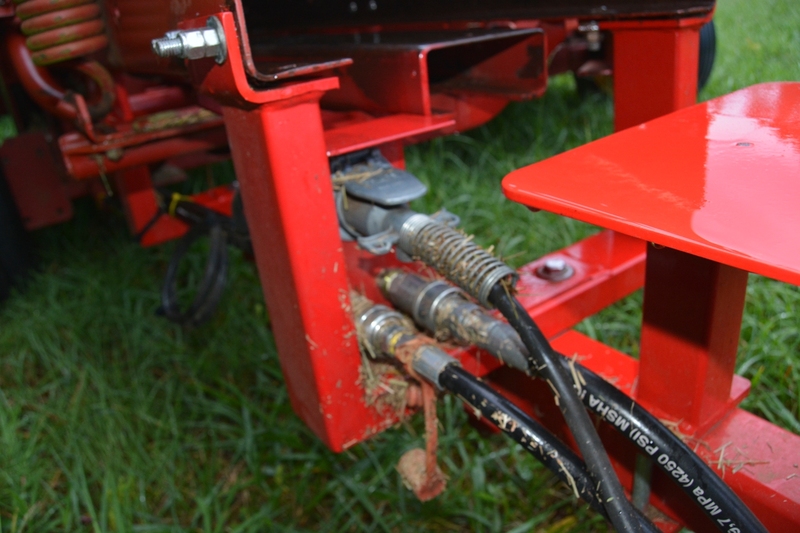 I want to break this down into several areas, we have the hitch kit which you need to install first, then the hydraulic hose kit, and the wiring/switch panel that comes with the accumulator. My New Holland 575 actually already had a tongue on it but not wanting to have any possible issues with the accumulator I opted to remove the NH hitch and install the Steffen. The install of the hitch kit really wasn’t all that hard but there are a few areas that I feel could be improved upon. It did require that I drilled a few holes into the bale chute in order to install it. 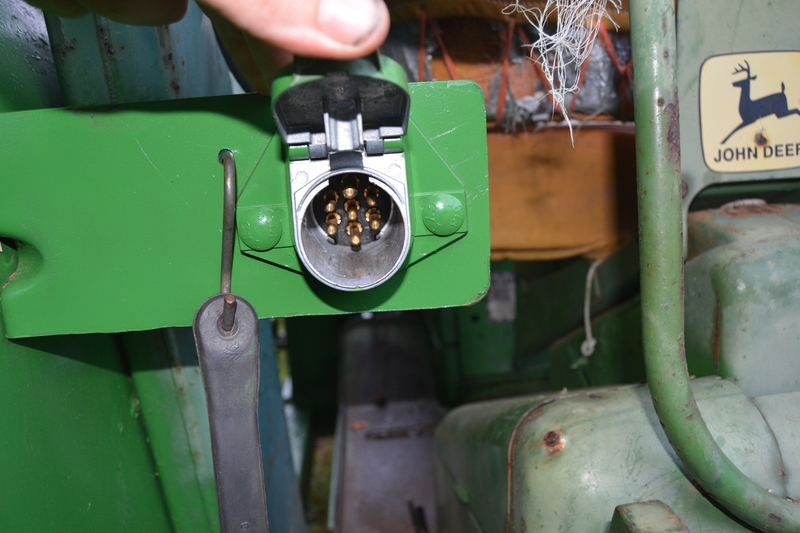 I was not really all that happy with this and felt that since most of the NH balers have the same set of holes in the chute that they could have made something specific to fit the new Holland without having to drill holes. Also while the hitch kit is designed to only pull the accumulator and the 15 bales that goes in it, I kind of felt that it could have been built better especially considering the price tag. I could have built this hitch kit for probably about $50 -$100 in steel and maybe two hours of labor. Another area that I felt could be improved kind of goes hand in hand with the hoses and electrical. 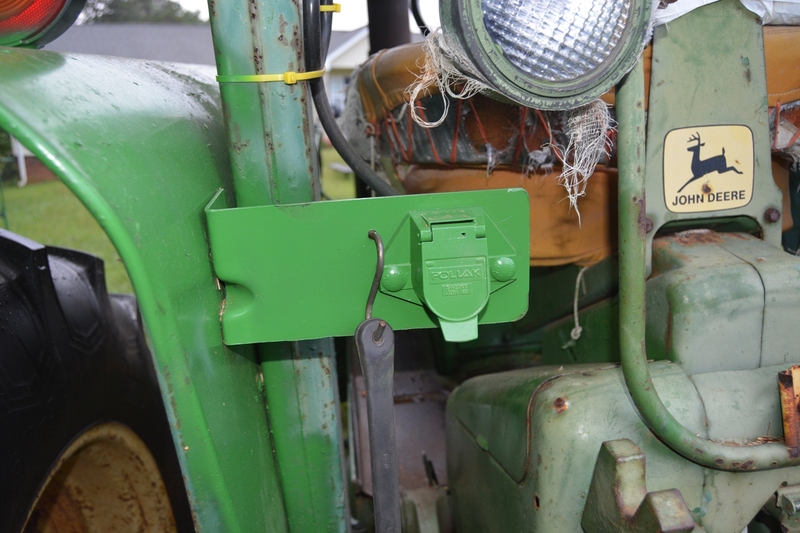 Steffen wants you to just zip tie the quick connects and 7 wire plug to the frame of the hitch kit. 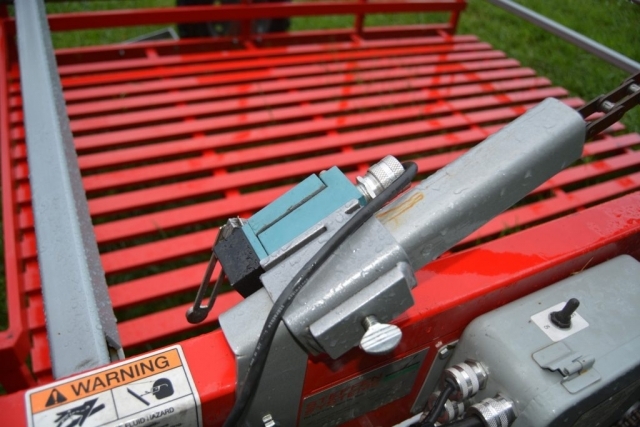 Again for the price there should be a plate made onto the hitch kit with proper holes to allow for the 7 wire receptacle and use hydraulic bulk heads to connect the hoses and quick connects to. After all it’s no fun trying to hold the wire/hose and try to pull the connector out. On that note I did make a modification to mine to allow for what I just mentioned. I added a plate with two holes, for hydraulic bulk heads and the 7 wire receptacle. I did not feel that this was optional, I feel that it was absolutely needed. Now I am looking at a method of removing the Steffen hitch kit and installing the New Holland hitch with a modification, Why? 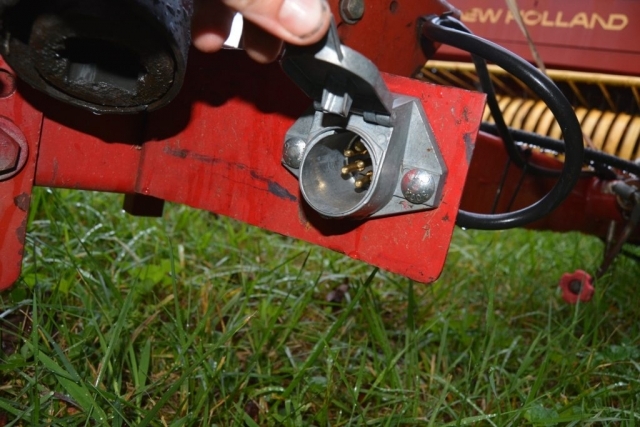 If for some reason I go to the field and want to use the standard bale chute there really is not a good way to do so, I had to remove the brackets for the bale chute and I would have to take tools and remove the platform on the that the bales sit on. 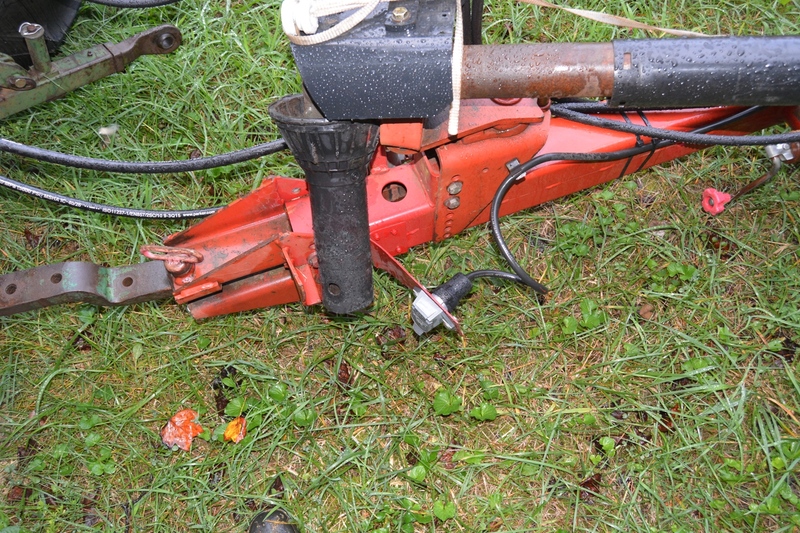 So I am going to make a pin on extension with that platform on the NH Hitch eventually. Look for the instructions on that later when I get the materials to do it. 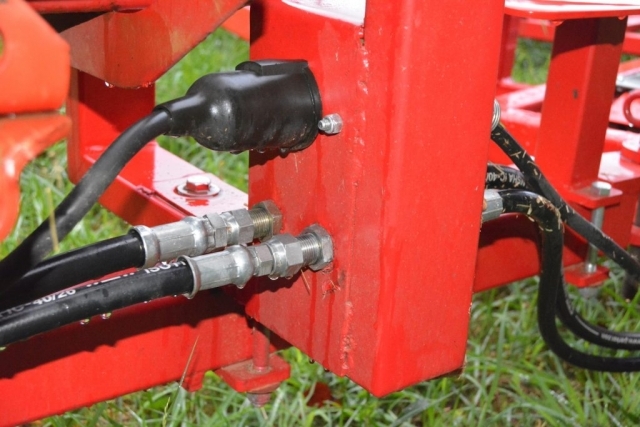 There really is not a lot to say about the hose kit, your will require one set of remotes for the accumulator and much like the hitch kit it would appear that they have one size that they send because the hoses were way too long. 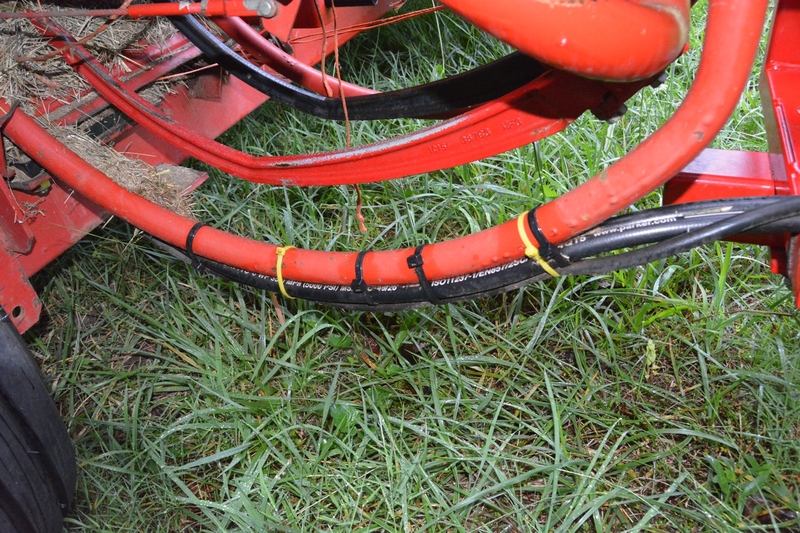 I actually ended up cutting the hoses and putting new ends on them to shorten them up and work with the bulkheads that I added to the hitch. 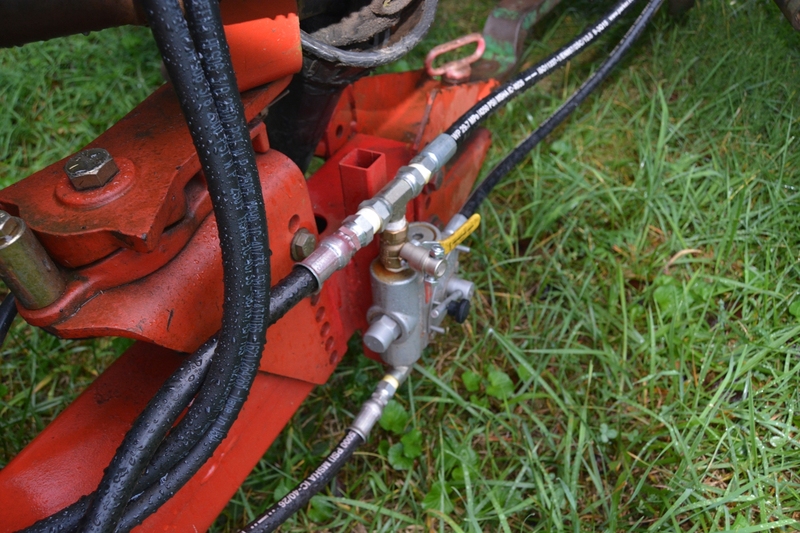 In reality, I probably should not have ordered the hose kit and just got hoses locally the proper length and set the way I wanted them at a much cheaper price. Again this is something since NH square balers are all pretty standard length along with JD etc there could be different options for hoses to fit your baler better. I feel then that would justify the price. The wiring and switch panel were pretty basic. Just like the hoses the wire was very long however I believe there was a reason for that. Again there is not a whole lot to be said but there is one major improvement that Steffen could make. The way the wiring was designed there was a 7 wire plug on the accumulator, then you ran a wire all the way to the front of the baler with a 7 wire receptacle on the accumulator side and a switch panel on the other end. To me this meant that every time you wanted to unhook the baler, that you had to remove the switch panel from the tractor. That is about all I have to say regarding the installation of the Accumulator now it’s time to move on to setting up the baler and accumulator to work together. Now for setup, the only way to set this thing up properly is to take it to the field with the baler, you are not going to set this thing up in a shop. I don’t see any way possible without making 15 bale sized objects to pass through the baler with added variation to account for bale size changes. When we first tried to use this thing in the spring, we hooked it up and kind of expected it just to work, boy were we wrong. And the first thing is to make sure that you have new or at least sharpened blades on the baler. You have no idea how much of a difference sharp knives made on the bale sides and allowing the 1550 to work properly. Steffen also indicates that the bales need to be 14″x18″ on the flat and anywhere from 32″-38″ long. This is extremely important. If you don’t set up your bale size and they are too long, you are in for a world of trouble. You need to get your baler set to start spitting bales out in that range because when the bales go to be pushed to the side if they are not, you will without a doubt, break your bales. Then you have a big mess to clean out of the accumulator. Its aggravating and my best advice to you is to get your bales set somewhere in that range before ever hooking up the accumulator. 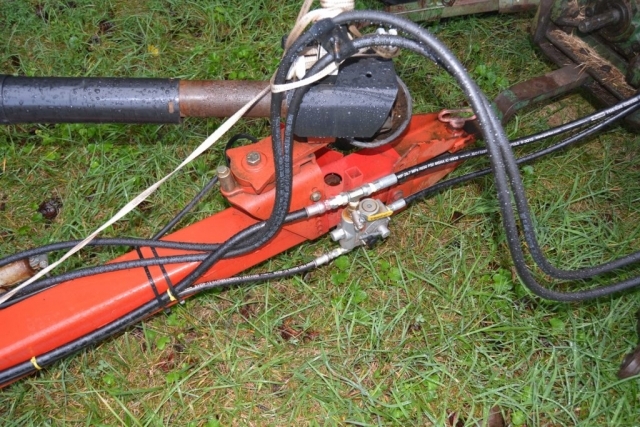 Once you have the bale length set, connect your accumulator. 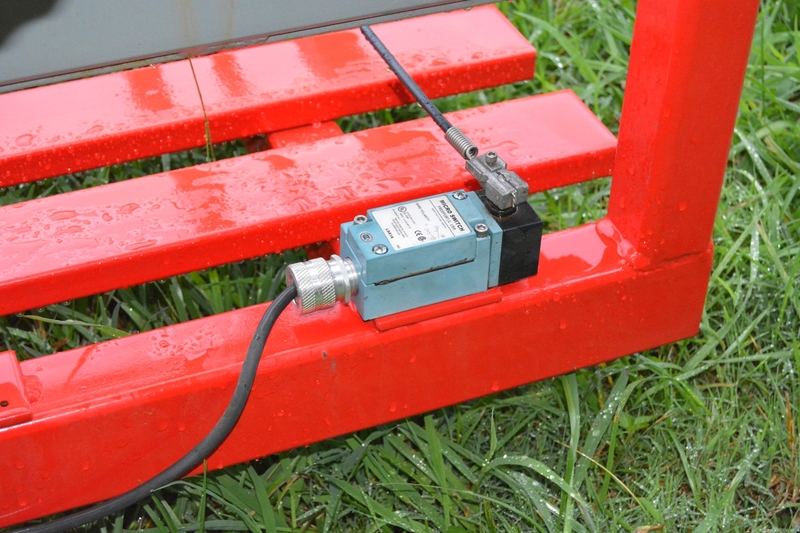 Now you are going to have to make adjustments to the accumulator switches for your bales. Luckily Steffen thought about this and they made an adjustable bracket for the dump stop. 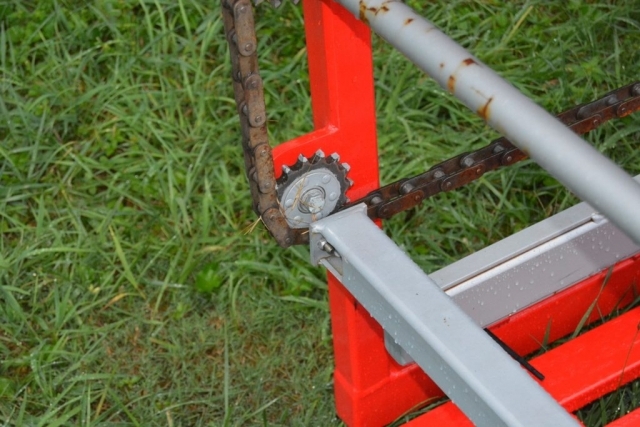 My advice on this is to make sure that the back pole of the dump stop is all the way at the back on the very bottom of the chain. 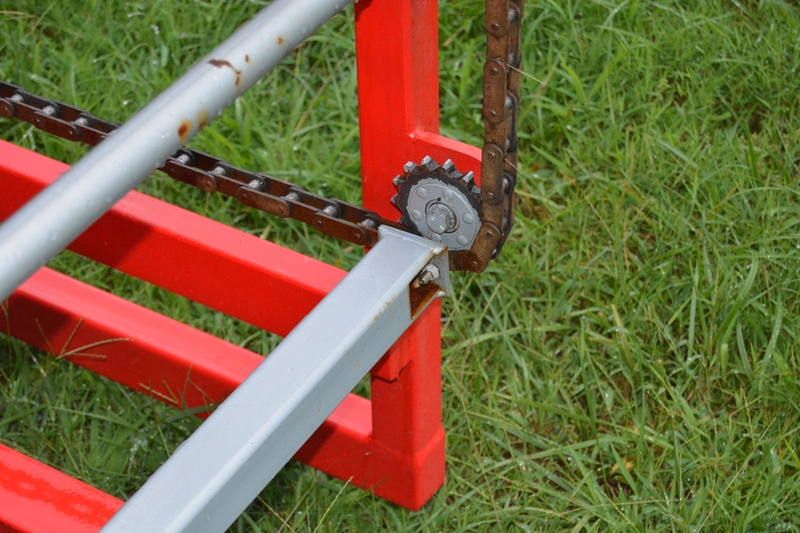 Basically it should sit right under the sprocket. Doing this will allow for size changes based on you windrow. Also there are two places for the rear switch again it all depends on how long your bales are but mine is set at the very back position. Our first cutting this year we ran out of time to get everything set up while trying to outrun the weather. So this part was done this fall. After all is set and ready go bale. We had some issues at first and there is a bit of a learning curve just like learning the baler. And I know it sounds so far that I have been a bit critical of Steffen and this machine but now we are set up, we are in the field, the windrows are good, the weather is cooperating and it’s time to get some hay made. And once everything is set what can I say but the thing just works. Sometimes a bale will get caught up for some reason, too long mostly, sometimes a bale will slide the wrong way on a hill, but for the most part you can just bale to your heart’s content and it will drop 15 bales out at a time. We bailed out roughly 400 bales this last cutting off of two smaller fields and I can’t be more pleased with the machine. It will take a bit get past the initial cost of the machine but I feel with the quality of the machine it should pay for itself in a few years and last many more. Don’t forget to check out the video of the machine at work. Thanks for reading and happy farming.